True to its name, passion fruit has a potent fragrance that’s sweet and seductive. With a tart orange pulp that surrounds black crunchy seeds, they don’t have much to eat when you crack one open. That’s why passion fruit is more about the fragrance and flavor than as a fruit you’d eat for sustenance. Unless you happen to live in a tropical climate where it’s grown, this low yield makes passion fruit prohibitively expensive. The thing is, its rarity in more temperate climates, usually lands the exotic fruit in the clearance bin because most people have no idea what to do with it. I love passion fruit so much that when I do spot them for a reasonable price, I usually buy up everything the store has. This leaves me with the challenge of preserving the pulp so I can continue to enjoy the alluring fragrance, even when it’s not available in stores. 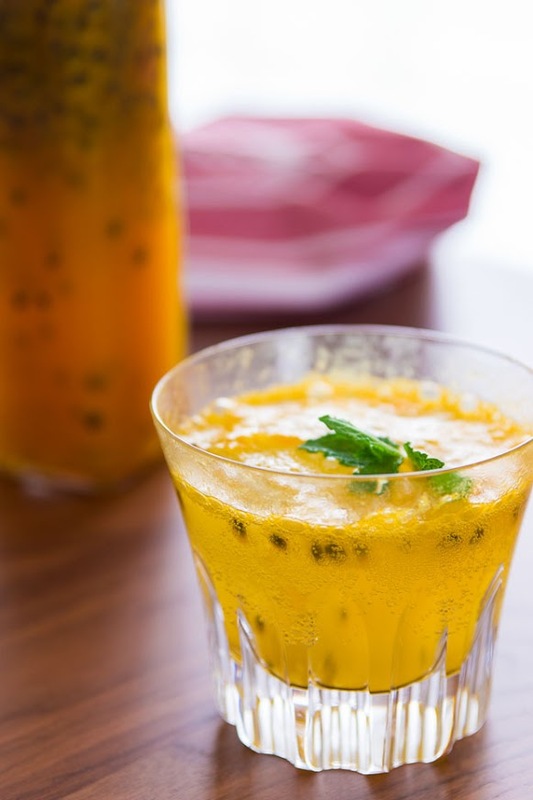 I’ve tried infusing alcohol and vinegar with passion fruit pulp in the past, and while these are effective ways of preserving the fruit, they also limit its potential uses. 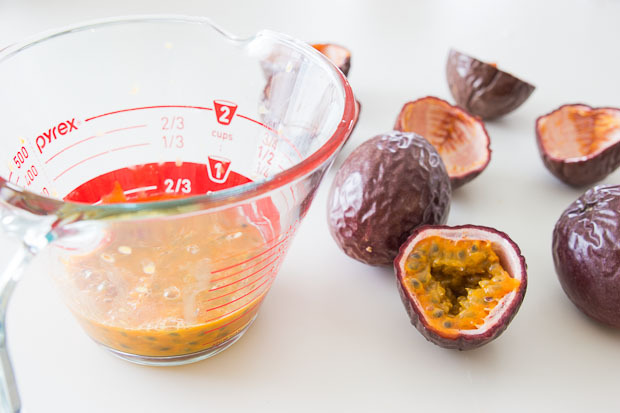 I’ve also experimented with turning passion fruit into a syrup, but the problem has always been that the high temperatures involved in making a syrup destroys a lot of the aroma and changes the vibrant orange color to a caramel brown. This time, I tried making a concentrated syrup before adding the pulp, cooking them together just long enough for the sacs to rupture, and then rapidly cooling the syrup in an ice bath. This worked great, creating a thick syrup with an intense perfume and a vibrant orange color that’s even more intense than the raw fruit. I haven’t tested the limits on shelf-life yet, but given the amount of sugar and the natural acidity, this should keep in the fridge for a fairly long time. The most obvious use for this syrup is in cocktails (or even just cut with soda water), but it’s also amazing on pancakes, pavlova, or mixed with plain yogurt. A ripe passion fruit should look a bit like a giant purple raisin. If yours aren’t ripe yet, just leave them on the counter to ripen. They’ll make your kitchen smell so good, you’ll be tempted to never use them. 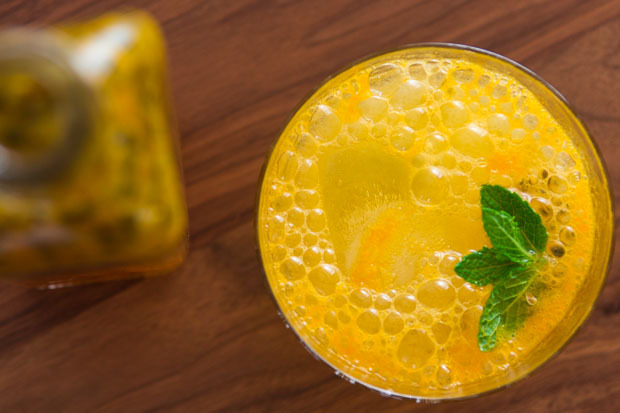 This sweet tropical syrup takes center stage in cocktails, on pancakes or over yogurt from Marc Matsumoto of the Fresh Tastes blog. 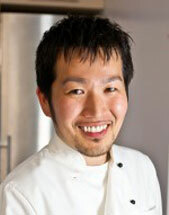 Add the sugar and water to a small saucepan and bring to a boil. Boil the mixture over high heat for 5 minutes. Add the passion fruit pulp and cook, stirring for another 1 minute. 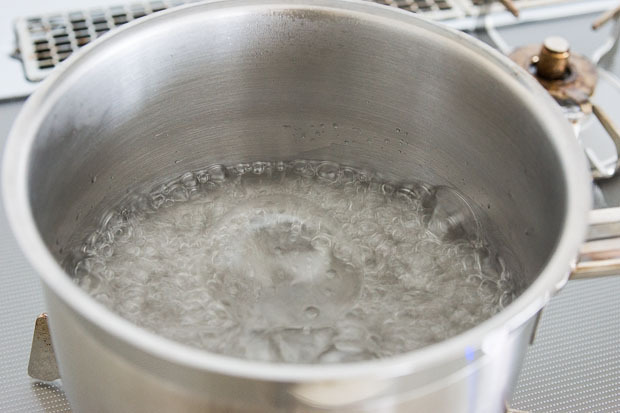 Turn off the heat and put the pot in a cold water bath to quickly chill. At this point you can either strain the syrup and discard the seeds, or keep both the seeds and syrup together as I like to do.